Have you every heard of winberries? Well I hadn’t until about 18 months ago when Dave mentioned to me that he used to love having winberry pie when he would stay with his Grandma and Grandad. I thought he was going a bit crazy until I mentioned it to someone at work and they knew all about winberry pies! So when I was asking for suggestions for this blog, Dave suggested I make his old favourite. However, try as I might, I just couldn’t find any winberries in the shops! I even tried the fruit market in town but with no luck 😦 so instead, I decided to make another fruit pie. Dave loves apple pie so it seemed like a perfect alternative. 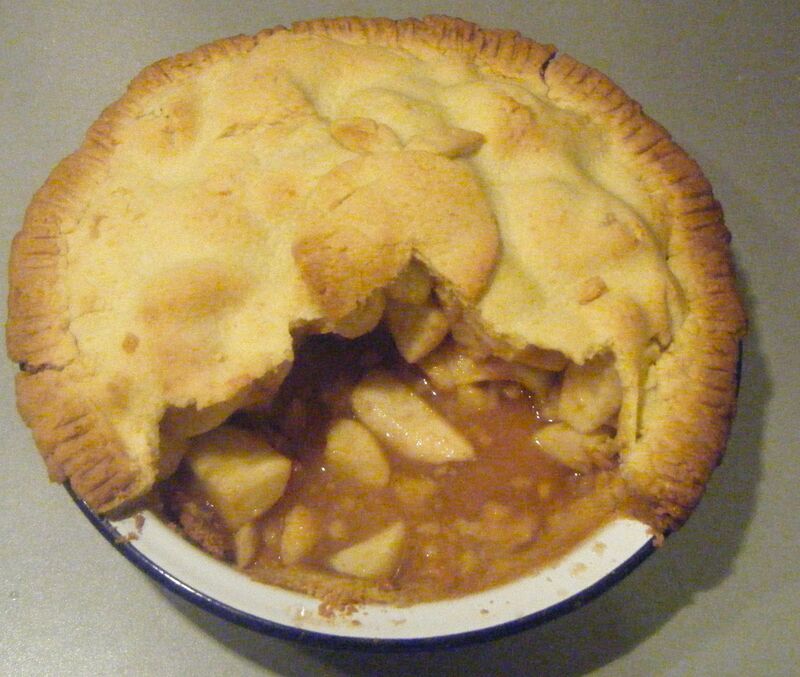 I thought making apple pie might be a bit easy so I looked for a recipe to make homemade custard too. I soon found this recipe by Ed Baines. 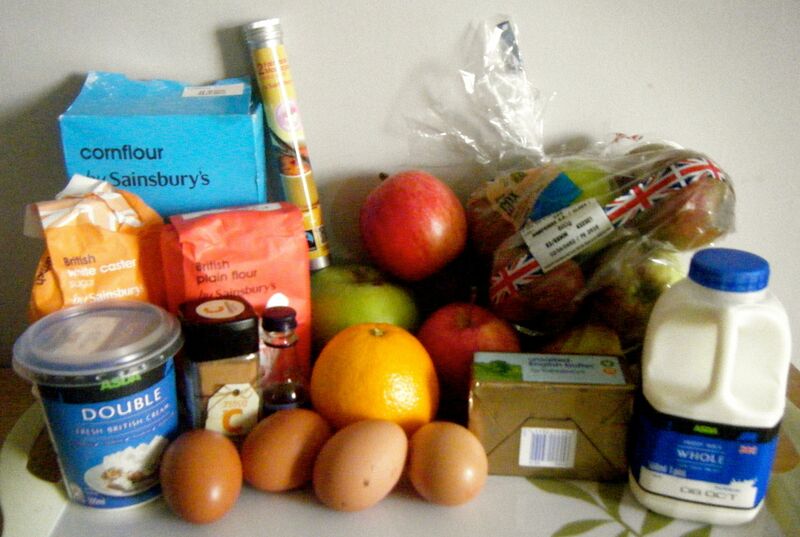 I went to the supermarket on Sunday morning to buy my ingredients and it was only once I got home that I realised I’d got my apple quantities wrong. I accidentally bought too few Cox apples and too many Gala apples. I didn’t think it would matter too much so ended up making the recipe with a bit more of a random mixture of weights but I made sure the total amount of apple was 1.5kg. I started by making the pastry. I put the flour, unsalted butter, orange zest, sugar and salt into my mini food processor and gave it a good blitz until it resembled fine breadcrumbs. It was a tight squeeze and in hindsight, it may have been better to rub the ingredients by hand. But I just about managed it in my mini processor. When I came to add the egg yolks, this didn’t work! I tried to blitz it but the ingredients were too packed in to get an even mix. So I tipped it out into a bowl and brought it together by hand. 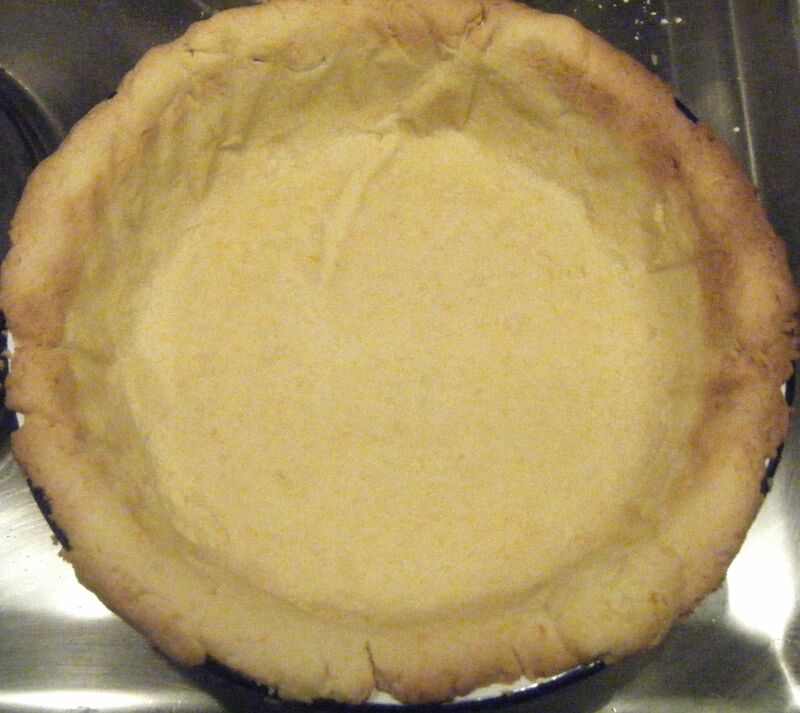 After working it for a while in the bowl, I tipped the pastry onto a lightly floured surface and gently kneaded it until it became smooth. It was quite a crumbly mixture so took a bit of working but it got there in the end. I then shaped it into a disk, wrapped it in cling film and popped it into the fridge to rest. 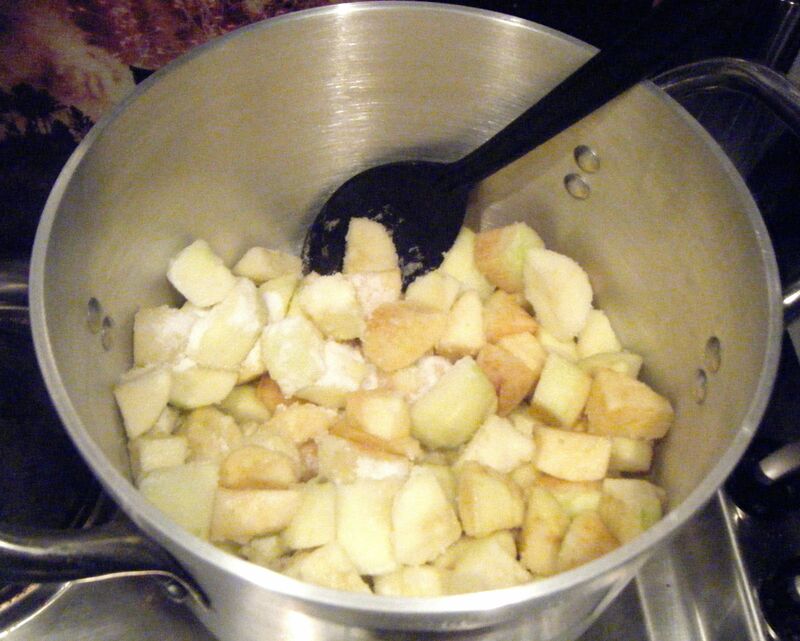 I put my apples and sugar into a big saucepan over a medium to low heat. The recipe said to heat the apples gently for 5 minutes or until they start to break down slightly. The 5 minutes didn’t seem to do very much to the apples so I let them heat for about 10 to 15 minutes. I then stirred in the cornflour, vanilla extract and cinnamon. I left it on the heat for a couple of minutes and then set it aside to cool down whilst I made mine and Dave’s dinner. 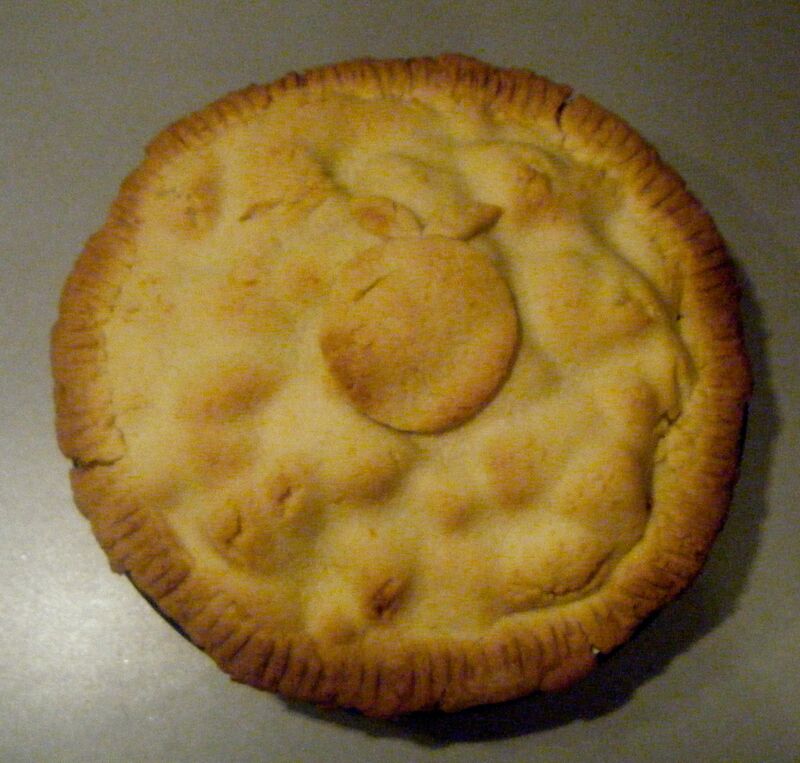 Once I was ready to get back on with the pie, I pulled the pastry out of the fridge and broke off 2 thirds. The pastry was really stiff and when I tried to roll it out, the edges kept splitting. 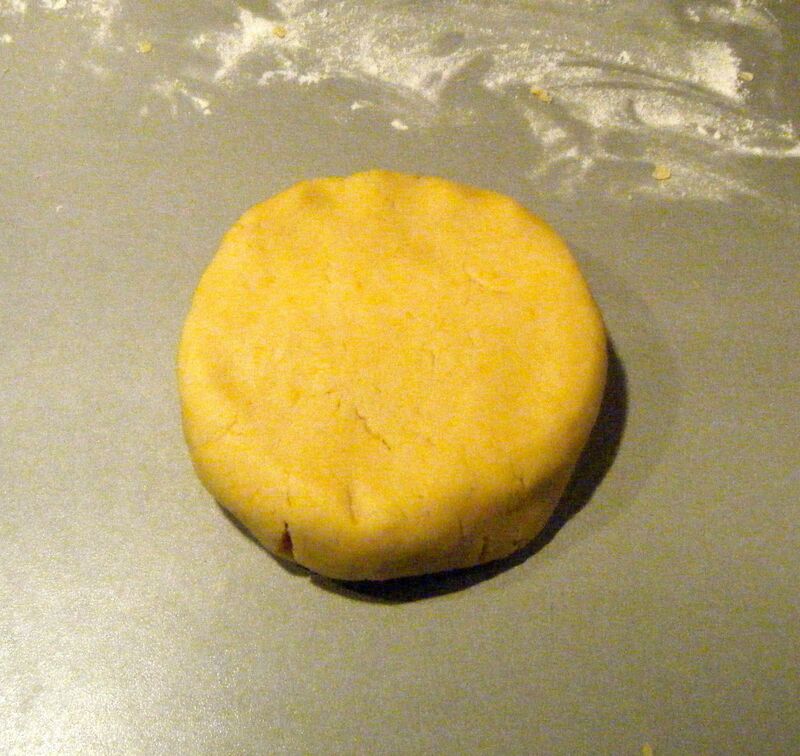 So I decided to work the pastry to soften it slightly before rolling it out. I then lined my (new!) 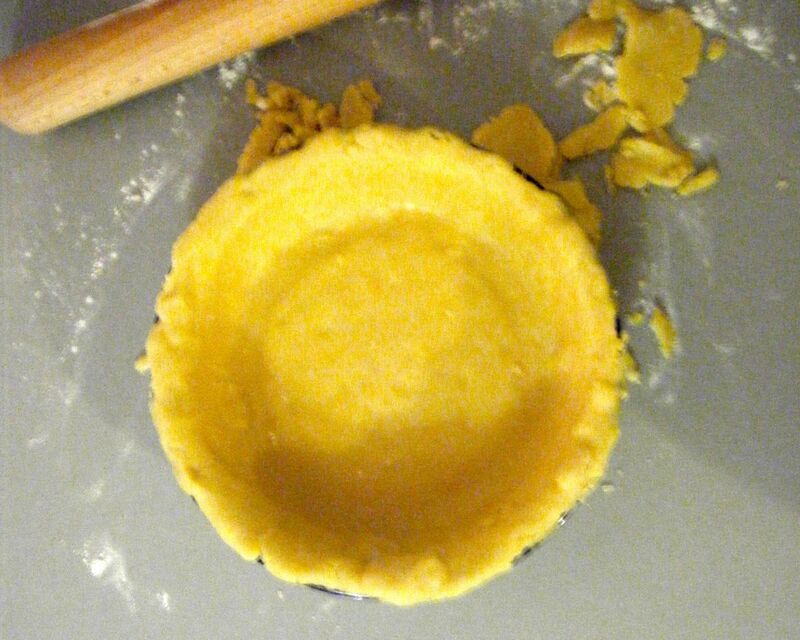 pie dish with the pastry. I covered it with baking paper and added my rice to use in place of the baking beans. I popped the dish into the oven on 200 degrees celsius for 15 minutes before removing the rice and baking paper. I then put the dish back in the oven for another 10 minutes. 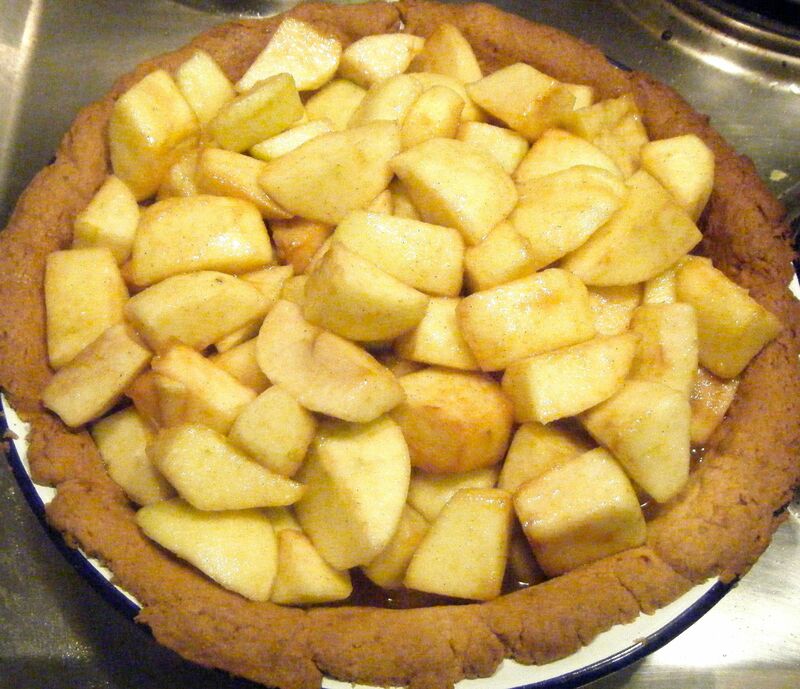 I filled the baked pastry with the apple mixture. This is where I potentially went a little wrong. The apples had given off a lot of liquid when I cooked them in the pan and I decided to add most of this to the pie. It seemed like the right thing to do but as you’ll see below, it may not have been! I added my top, sealed the edges and added my picture topper to the middle. Then into the oven it went for around 23 minutes. When the pie had about 15 minutes left to go, I got started on my custard. 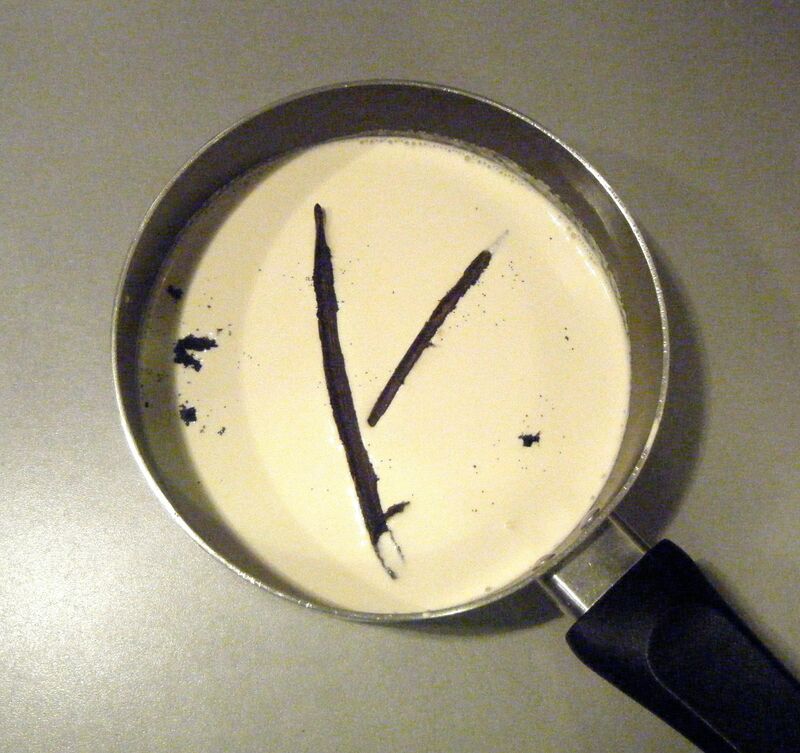 I put the milk, cream and vanilla pods and seeds into a pan over a low heat. 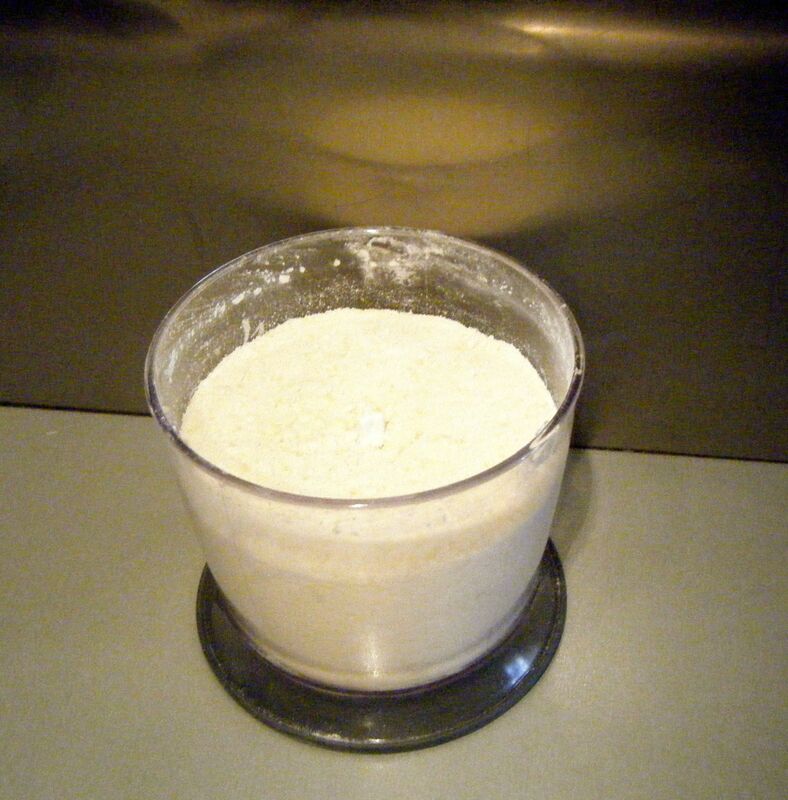 Once the milk/cream mixture had come up to a simmer, I poured it through a sieve into a pouring jug. 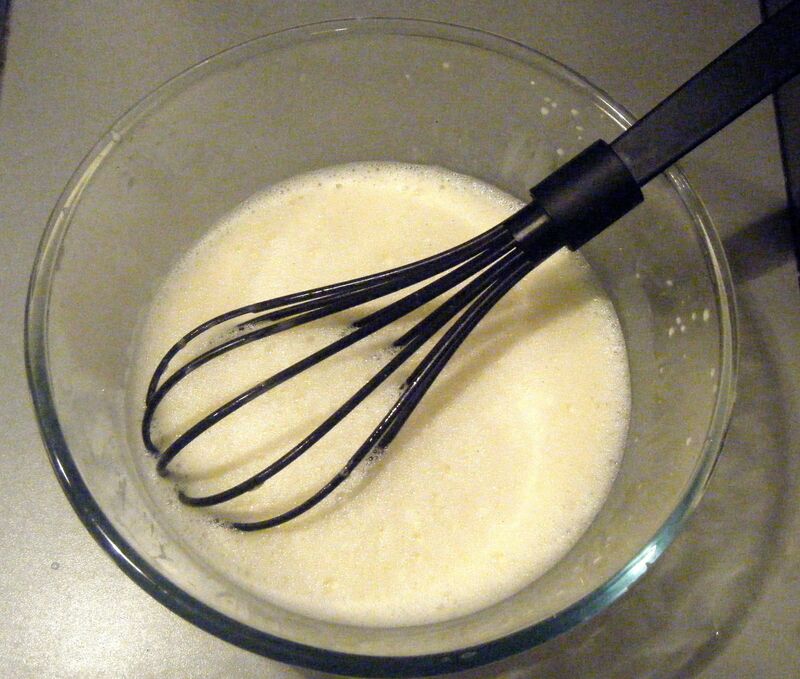 I whisked the egg yolks and sugar together using a fork and then slowly added the sieved milk/cream mixture, being sure to whisk constantly (now with a balloon whisk). I then poured the mixture into a clean pan and returned it to a medium to heat to thicken up. 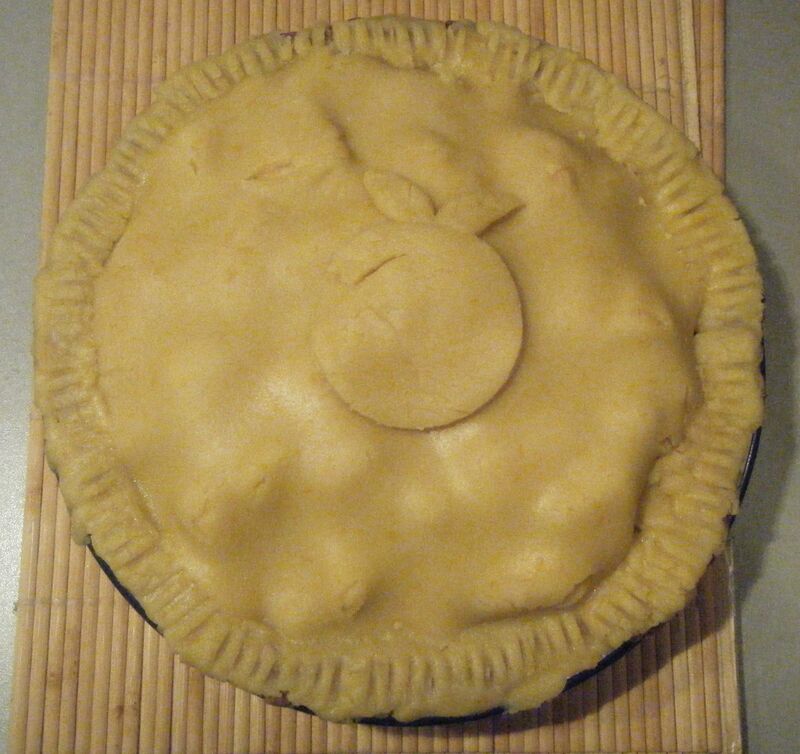 This took quite a while, and I ended taking the pie out of the oven about 10 minutes before the custard was ready. It didn’t matter though as the pie retained its heat and the custard was well worth the wait! Evidently that didn’t work!! The pie didn’t have a base any more and there was so much liquid in the middle. So it wasn’t the prettiest served pudding but it sure did taste yummy! There is clearly room to improve my pie making ability. Dave said it was more like delicious baked apples with a pie crust top 🙂 but I have to say, that custard…it was absolute heaven and so easy to make. Coming up next week, Challenge No. 40 – tomato soup. 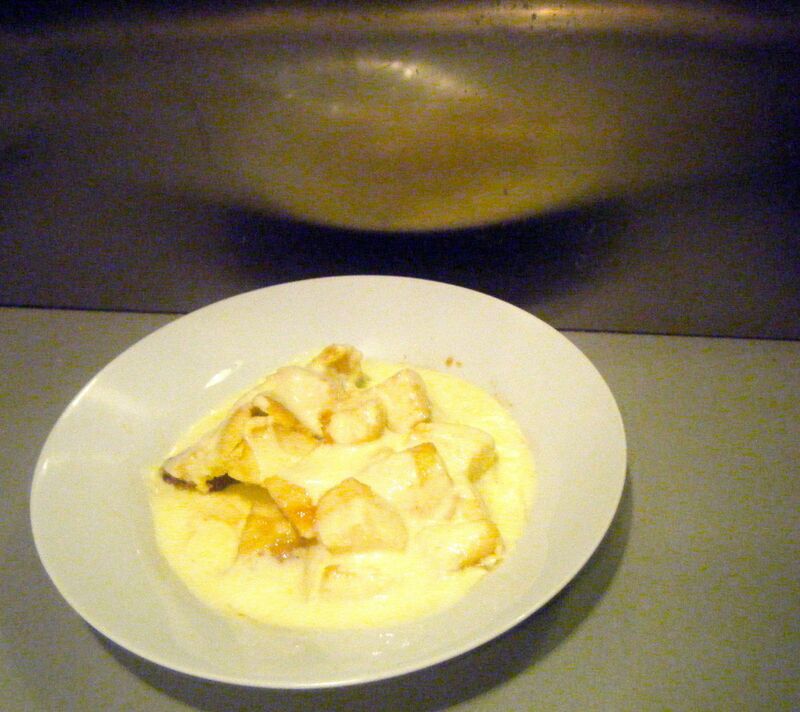 This entry was posted in Challenge 52 and tagged America, Baking, Challenge52, Cream, Custard, dessert, Eggs, Food, Fruit by MyGastroAdventure. Bookmark the permalink.